Warhammer occupies a special place in the nerd world. The strange, often unpleasant world of Warhammer started off with tabletop, but it would branch out into the game’s world before long, spawning a number of strategy titles that brought the tabletop universe to the screen. After long enough, there were also spinoffs in the form of shooters and action titles. One such title was 2015’s Warhammer: End Times – Vermintide. The game mixed the co-op action of titles like Left 4 Dead and Killing Floor and turned it into a hack-n-slash fantasy title. It was well-received but kinda flew under the radar. This time around Fatshark has put out a sequel that looks a lot more ambitious. Warhammer: Vermintide 2 is, in pretty much every regard, a step up from Vermintide. It refined the gameplay immensely (not to say Vermintide’s gameplay was clunky) and it really tweaked the game’s balance issues to come up with a more fun, sleeker experience. I’m gonna start with what changes Warhammer: Vermintide 2 made and move on to how it ties together as a game. For the most part I’d say the biggest change – for me – in Warhammer: Vermintide 2 is the scale of the levels. Levels now feel a lot bigger, branching out into larger, more open spaces where the combat feels like the scene of some massive battle. The first time around the game went more for claustrophobic experiences but this time there’s a lot more movement space. Having said that, there are still plenty of levels where you feel cramped, but there’s a variety. What arguably changes the gameplay structure more is the presence of new subclasses. So you have a variety of passive and active abilities, encouraging you to put in time and build up your character’s abilities to get an edge in battle. However, I feel like they didn’t quite nail this aspect. Some classes just feel a lot more effective. For instance, I started with Kerillian, the archer lady (she’s called a waystalker in the game but I’m just gonna stick with archer lady). I stuck with the waystalker class and I did really well, regenerating health and dealing massive damage from a distance. But when I switched over to the more assassin-ish shade subclass, I ended up getting pummeled. I get that it’s about playstyle, but I feel like some subclasses just work better because they allow you to take advantage of distance. It’s even trickier when there are enemies that have specific weak points; you can’t compete with ranged in that regard. This brings us to a criticism that’s kinda inherent to Warhammer: Vermintide as a series, not just the sequel; it feels like melee combat is a lot riskier (and perhaps less effective) than just keeping your distance and firing away. There’s totally a balance; ranged characters are not as tough and can’t hold their own, sure. But getting up close is still a real challenge. This is despite real improvements Warhammer: Vermintide 2 has made to its melee and hit detection. Combat definitely feels satisfying here, and laying into armies of rat soldiers with fierce swings of a sword is a real treat; but you need to plan it out carefully and put points into abilities that let you tank damage, because if you try to go sir gallant on the monsters, you’re gonna get hit – a lot. In this regard I feel like Warhammer: Vermintide 2 shows why we have so many co-op shooters and not as many first-person melee titles; it can be tough to work out hand-to-hand combat in first person. Having said that, I feel like Warhammer: Vermintide 2 ranks among the top in the game, delivering rewarding first-person combat in the vein of Chivalry and the recent Kingdom Come: Deliverance. Speaking of which, Warhammer: Vermintide 2 is most definitely a game that deserves to be played in multiplayer. The AI companions are very effective and they’ll float you without too much trouble, but the game really shines when your friends all get in on it. The main reason is that you need to really take advantage of your passive and active abilities to get through the fight. Warhammer: Vermintide 2 works well as a sequel because it doesn’t compromise what made the first Vermintide great; hacky slashy action that can definitely liven up an afternoon with friends. 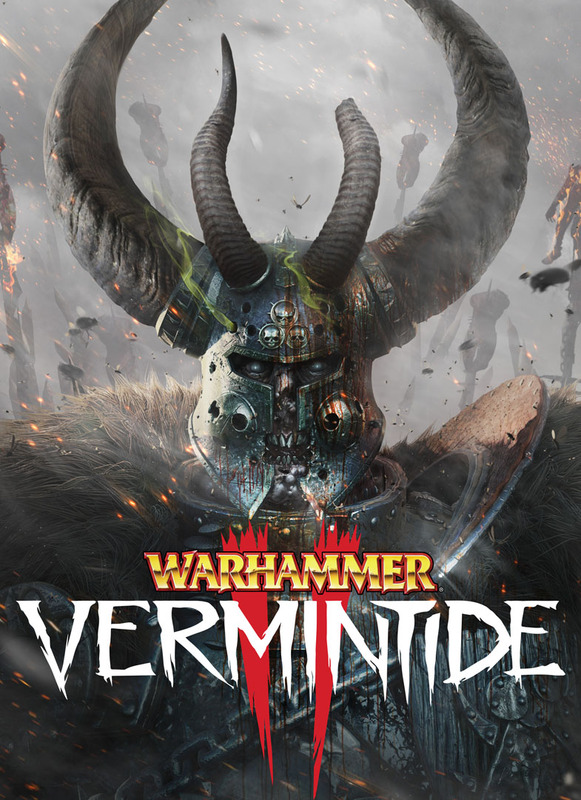 Warhammer: Vermintide 2 was reviewed using a PC digital download code of the game provided by Tribute Games. The review was done on a PC running Windows 10, with an 8GB NVIDIA Geforce GTX 1070 fitted on a 4th Generation Intel i7 4790 3.6Ghz CPU and topped with 16GB of RAM. The game is also planned to release on Xbox One and PlayStation 4. We don’t discuss review scores with publishers or developers prior to the review being published (click here for more information about our review policy).